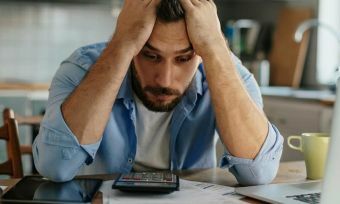 With one in three Kiwis leaving unpaid debt on their credit card each month, consumers looking to shift their balance could consider shopping around for a lower rate card. Some providers offer interest rates below 13%. You can save yourself money by opting for a low rate credit card. With options on Canstar’s database for credit cards with rates below the 13% mark, now could be a good time to compare some of the lowest interest rate credit cards on the market. 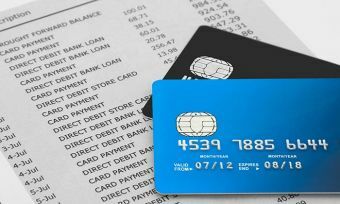 If you want to learn more about low rate credit cards, how they work and how they can stack up against other kinds of credit cards, read on. Low rate credit cards typically come with lower interest rates than other types of cards, with the lowest on our database being 12.69%. The average 5-star low rate credit card is 13.23%; this is more than 5% lower than the market average card of 18.71%, according to Canstar research for the latest credit card star ratings. Some cards even offer introductory rates of 0% if you transfer your balance (debt) from an existing credit card to them. Word of warning, though, these offers are usually for a defined period and switch to a higher rate later on, so it’s important to consider the rate of interest that would apply over the long term. In some cases, low rate credit cards may be suitable for customers who want to transfer an existing balance to a new card to save on interest, or for those who just want a no-frills product for their everyday transactions. Lower interest rates can mean lower monthly interest repayments when compared with higher rate credit cards. They can also come with low fees, suitable for those consumers looking for a ‘no frills’ card without premium features. Low rate credit cards can also come with even lower rate balance transfers. Low rate cards dotend to not come with rewards programs and so tend not to be suitable for people seeking rewards, although there are exceptions. They typically don’t come with the same perks and bonuses as some premium cards. Some cards come with zero interest-free days – meaning all purchases will incur interest. The purchase rate and revert rate (the rate your card reverts to after any introductory period) on the card. The fees, such as annual fees, late payment fees, balance transfer fees etc. The perks and bonuses the card may have. The promotional interest rate, and how long it lasts for. The number of interest-free days – our database shows the maximum for credit cards is currently at six months, while a quick search shows that some low rate cards have 0. To compare these and more when choosing a new credit card, use Canstar’s comparison tables.